Note: I took a photo of this Snapdragon right after Thanksgiving. 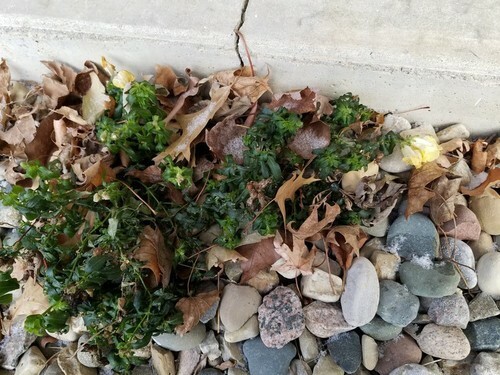 It’s still clinging to life, despite a few brutally cold weeks in Illinois. Note 2: I’m participating in WordPress’s weekly Photo Challenge for 2018. This week’s topic is Weathered. Want to join me?? This entry was posted in Photo Challenge and tagged Haiku, Photo Challenge, snapdragon. Bookmark the permalink. Nature is wonderful, isn’t she? Just as well, given what the weather has thrown at us this year. Lovely pic and haiku, Debbie! Bless you for putting up with yet another haiku and photo of this poor dear! Remember, it’s not my fault if WordPress chooses a topic I’ve already written about, heehee!! love the haiku. how’s the snapdragon doing? still hanging in there or has it succumb to winter? Great idea on the prompt and a super photo. Come on dragon keep the faith. Thanks, John. I believe Dragon is gonna make it! My azaleas are like that, they will bloom a few times a year. They must be so confused, but Florida will do that to you. My azaleas are snow-covered right now! You’re so right! Of course, it’s tucked beneath all those fallen leaves, so maybe that provides a bit of warmth. Do you suppose if it freezes, the dragon will snap? Very clever, Linda! Thank you, and I do hope it doesn’t. We’re awaiting another cold spell, so time will tell. Yay, hang in there, little snapdragon! I think it hears you from far away, Lucy. It’s got a determined air about it! Yes, how true that is, Debbie! Last week when it was in the single digits here, I spotted flower buds in one of the parks I visit. I was shocked! Thanks, Ron. Flowers already? Oh, but you must warn them another cold snap is on its way! Happy Happy rest of the week to you! I’m keeping my fingers crossed for it. I couldn’t believe it when I saw the pale yellow flowers. HaHa, we all do that!! !